Jean Kilbourne's pioneering work helped develop and popularize the study of gender representation in advertising. Her award-winning Killing us Softly films have influenced millions of college and high school students across two generations and on an international scale. In this important new film, Kilbourne reviews if and how the image of women in advertising has changed over the last 20 years. 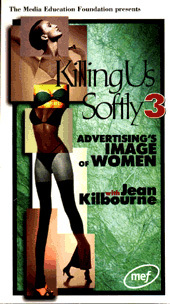 With wit and warmth, Kilbourne uses over 160 ads and TV commercials to critique advertising's image of women. By fostering creative and productive dialogue, she invites viewers to look at familiar images in a new way, that moves and empowers them to take action.